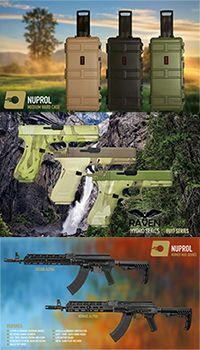 Maple Leaf provide a great selection of parts and accessories airsoft guns and we're happy to pass all these exciting products on to you for amazing wholesale prices! If you are a reseller, then you won't find better prices anywhere on the web. Maple Leaf provide a vast range of different gun parts, spares and customizations. These include cylinders, triggers, pistons and more. They work closely with a number of other manufacturers such as Bolt Airsoft to help consumers make the very most of their weapons!